I saw this book featured on another blog, and that reader loved it. This was so much more disturbing than I was expecting, and I was hooked! Sara awakens in a hospital bed, but she has no memory of what has happened to her. She cannot see and has bandages wrapped around her eyes. A man named Jacob is with her, who claims to be her husband but Sara can't remember him at all. She is told that her eyes were damaged in the explosion and that she was also injured. Something called The Commission wants to ask her questions, and Jacob warns Sara not to embarrass him and that disobeying is not an option. The Commission is withholding water from Sara, and she is not allowed to speak with anyone else except her husband. Meanwhile, a woman named Stella is looking for her friend Mindy who has been missing for two weeks. The book is told from multiple points of view. This gripping story is dark, and I was absolutely chilled hearing about The Commission and their indoctrination process, where a woman is basically stripped of anything and all that she is to become completely submissive to her husband. She is not allowed to ask anything, as that would be seen as questioning. I cringed hearing Sara saying all the things that she was expected to say, and how effective the brainwashing was. Through Jacob's perspective, the reader learns what's really going on which gave me shudders. "You are not abused. You are disciplined." 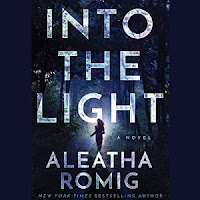 Romig is a new-to-me author, and I can't wait to read the conclusion to this duology, Away from the Dark. 4 stars!! I really enjoyed it, and you should put it on your TBR list if you enjoy mysteries. 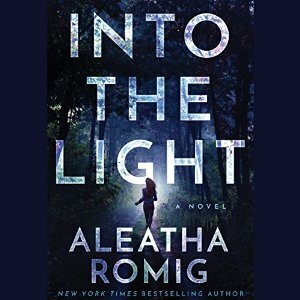 I enjoyed this series on audio and agree it was dark and addictive. It was your blog that I saw this book on! So thanks for the recommendation!